Our camera men Klemens Gann and Dirk Specht film the underwater world with professional underwater camera systems. They only use known brands like Sony cameras and underwater video lights from Big Blue. The movies are produced in High Definition and 4K Ultra HD. We are pleased to welcome Tom Scholtes as a freelance underwater camera man in our team. Tom provides us with fantastic film material in 4K resolution of big fish like the blue sharks of the Azores. Our diving trips have taken us to the best dive sites in the world surrounded by blue oceans. On our underwater movies you will encounter playful dolphins, graceful manta rays and majestic sharks. our underwater camera men have also filmed breathtaking coral reefs and exotic marine life like the pygmy seahorse. 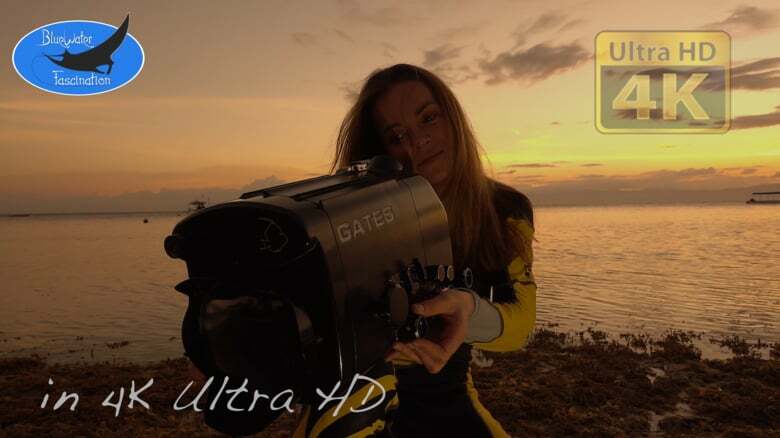 Andrea Roth is editing our underwater video footage to breathtaking underwater films or relaxing entertainment movies. Over the years we have had the pleasure to deliver our underwater video stock footage to many satisfied customers. Our royalty free underwater video footage is used in many different productions reaching from YouTube to broadcast TV. Scientific channels also used our underwater footage to illustrate certain habitats and animal behavior. National Geographic, The BBC and Discovery Channel used our underwater video footage of hunting pelagic thresher sharks, filmed by our underwater camera man Klemens Gann, for their documentaries. How did you filmmakers meet each other and what are you doing at BlueWaterFascination? then we spent a lot of time together working as filmmakers. Klemens: We produce underwater films and royalty free stock footage. Our underwater films are available as download from our Vimeo “Video On Demand” channel. We also offer underwater stock footage clips for sale. 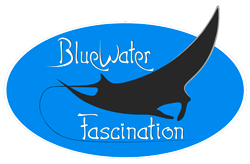 How did you come up with the name Bluewaterfascination and the Manta logo? logo. An underwater photo of a Manta served as template. The silhouette of the animal was then used for our company logo. Do you have a standard dive certification or did you receive special training to be able to achieve the quality of your underwater film scenes? Andrea: In order to film sharks for a long time I use Nitrox. As underwater filmmakers it is safer as well and reduces the risk of a decompression accidents. Dirk: Open circuit regulators prevent close encounters with sharks and other pelagic animals. As a result I changed to a closed circuit rebreather, because this let’s you get closer to the animals. Therefore you can capture images which are impossible to get on an ordinary open circuit regulator. Klemens: Before I used my first video camera underwater I had already worked for more than 10 years in the diving industry. Also I have met many filmmakers and gained valuable experience. I choose the equipment depending on the shoot and the subject required. With these factors in mind I evaluate what is the best set up to use. Do you guys have a background in audiovisual or photography as filmmakers? Dirk: No, our experience has always been acquired by “learning by doing”. At the beginning I would be more than happy if I had captured a blurry fish. 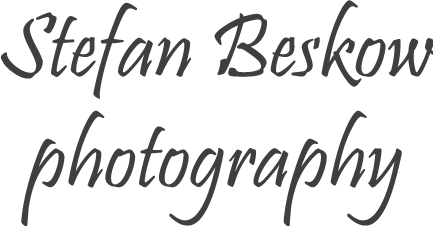 With the time I understood more about the concept and aimed on getting better shots each time I used the camera. Klemens: No, we pretty much learned everything by ourselves. It starts with the filming underwater and continues with editing the material on the computer. We are working on several Apple I-Mac computers and use Final Cut Pro editing software. Are you always filming with the same equipment? Klemens: My current camera is the Sony FDR-AX100 which produces 4K UHD quality .My housing is a Gates Underwater Housings with manual controls. the housings has no electronics, which can often lead to problems in tropical temperatures. I use Big Blue Lights which have a long burn time and a high light output. Dirk: As filmmakers we bought a professional housing from Light&Motion. The Stingray G2 housing impressed us with its perfect workmanship and ease of use. We use a Sony camera HDR CX505VE which produces crisp HD quality footage. Klemens: Our stock footage clips are bought from other filmmakers. Another field is major broadcasters including the BBC, National Geographic, Discovery Channel, to name but a few. Andrea: A Hollywood studio purchased underwater footage from us, but they didn’t allow us to publish their name on our website. Dirk: Our underwater films are used in waiting rooms. Dentist therefore use the films because of the relaxing atmosphere they create. Dive Shops buy our underwater films to introduce dive trips. the wild. Our underwater scenes were the first to be broadcast by the BBC, National Geographic and Discovery Channel. Also the New York Times and the Guardian published the hunting thresher shark news. Furthermore many scientific journals publlishedb these findings. This is what all filmmakers dream of and we still have a lot of inquires for our hunting thresher shark stock footage. What places are on your filmmakers bucket list? Are there still animals left which you want to film? Klemens: Yes, at the moment the Hairy Frog fish is my first target. Dirk: Yes, I focus on a large Mola Mola (Sunfish). Do you guys work on a new film at the moment and can we hope for more underwater films in the future? Klemens: Yes of course, the next film as filmmakers will be something with “critters”. On our last dive trip to Anilao in the Philippines we filmed some species which have been missing in our repertoire. Andrea: You can be sure that in addition to our existing films we will produce more underwater movies in the future. What was your most beautiful diving encounter for you as filmmakers? Andrea: Manta ray encounter on the island of Koh Bon in Thailand. Klemens: My first whale shark was the most joyful moment. Dirk: Dolphins at eye level in the Red Sea. An unforgettable experience for filmmakers. Do you have tips for divers how to get better underwater videos or even produce professional films? Dirk: You should have diving experience and perfect buoyancy, because these skills are essential for underwater filmmakers. Inexperienced divers probably endanger themselves and the environment. Filmmakers always know how to control themselves and minimize the negative impact on the environment. Klemens: Good movies are produced through experience and passion. It needs a lot of practice and an understanding of the camera functions. Editing videos in post production is another important skill. The camera should have functions including shutter speed, iris and white balance. In my opinion filmmakers can’t make a professional underwater movie using an action cam.